There was nothing I could do about it. 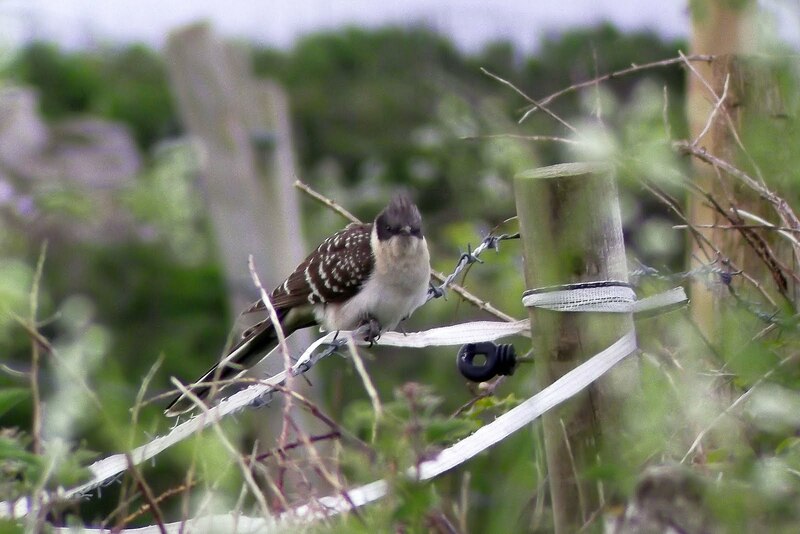 It was impossible to resist twitching the Great Spotted Cuckoo on Portland Bill this morning. I'd been counting down the days from the moment it first appeared on the Rock on Friday morning. 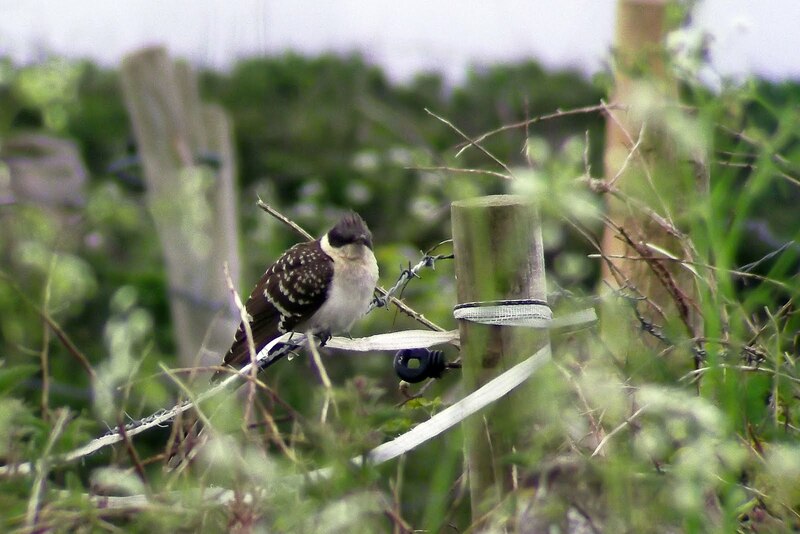 Only the third Dorset record and a first for the island, the Great Spotted Cuckoo arrived to much fanfare and rightfully so. Very rare and a real head-turner. What a fantastic bird! Although the rediscovery of a Lammergeier on Dartmoor would be a very tempting distraction, Devon is outside my twitching boundary. Having to be back in Redhill by 2.30pm Dorset is as far as I feel happy to travel to and fro in a day and, in any case, there was less certainty over the vulture's whereabouts. Having said all that, twitching, as I have said before can be a stressful pastime. 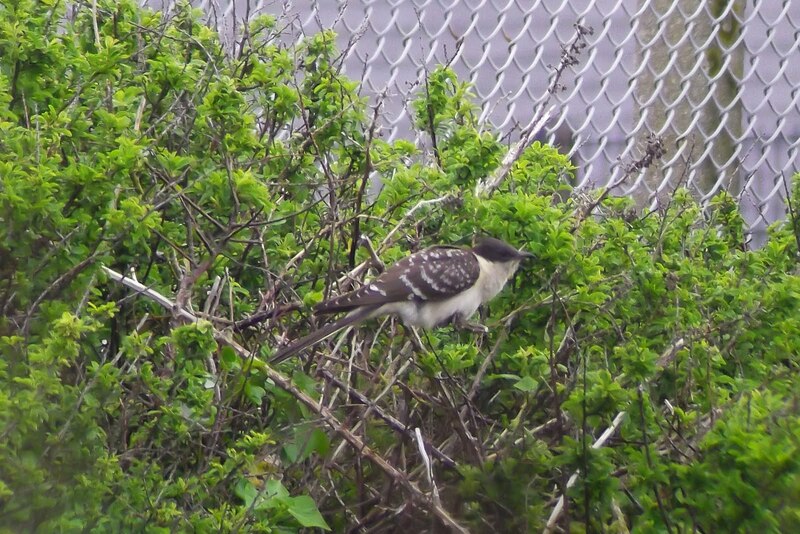 Considering the length of its stay, there was certainly no certainty the Cuckoo would still be about. It was something I considered carefully, but felt it was worth the punt. On the road by 3.45am, after a stop for breakfast en route, I was on the Bill by 6.45am. The Twittersphere was quiet on the way down so it was still in the lap of the gods whether the Cuckoo had hung on for at least one more day. 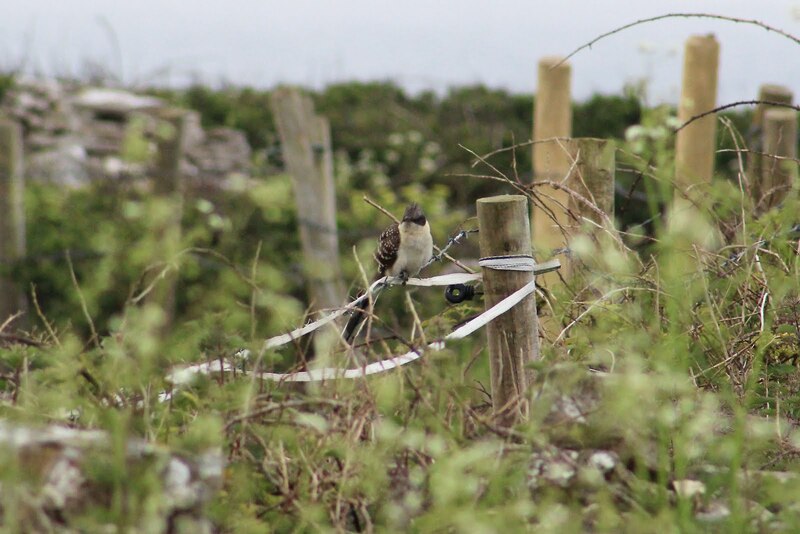 I was still preparing for disappointment when Portland Bill Observatory head honcho Martin Cade sent out a tweet confirming the Great Spotted Cuckoo was in a different location from its usual spots and was in the hedges along the Top Fields above Culverwell. That was great news, but I still had to find it though. 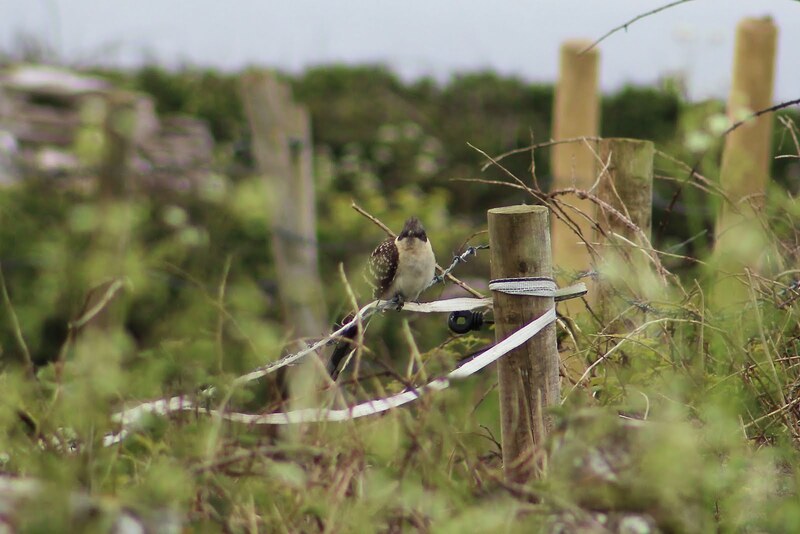 Heading down to the Obs, I spotted a birder up at the trapping area and asked whether he had seen it. It transpired it was he who had located it up in the Top Fields area. Once at the top of the rise, it was a case of trying to work out where the Cuckoo could be. After going in the wrong direction I headed towards the MOD area and opted to walk through a gap in the hedges which opened up into a slightly overgrown paddock, one I remember walking around the last time I was here a couple of years ago. 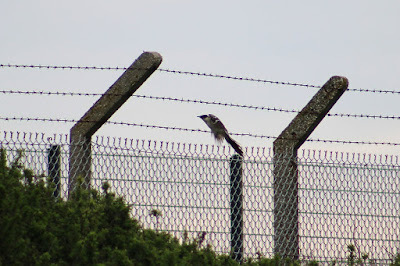 I scanned the hedges and looked up to my right, and there perched on a fence, silhouetted against the early morning light, was the Great Spotted Cuckoo. What a relief! I took a wide line around the edge of the field. A couple of irritatingly yappy dogs were being walked on the other side of the fence, but luckily the Cuckoo remained unfazed. I managed to edge as close as I dare along the fence line and set up shop. The Great Spotted Cuckoo kept a keen eye on me and also potential threats in the sky, but he stayed put for a good 15-20 minutes. What made this moment very special was the fact there was not a soul about. It was just me and this magnificent bird. Moments like these live on in the memory. After about 20 minutes it looked like it was going the take flight and sure enough it did, flying over my head and into the bushes in the neighbouring horse paddock. And there it stayed until it flew up on to the MOD fence and then dropped down deeper into the scrub and out of sight. It didn't come back out. On the walk back I saw a couple of Peregrine and in the fields to the north of the Obs a Short-eared Owl showed well. Martin, Keith Pritchard and the rest of the Portland gang heard the Cuckoo call just before I arrived back and expected it to fly to the Obs gardens at some point during the day, although I'm not sure it did. 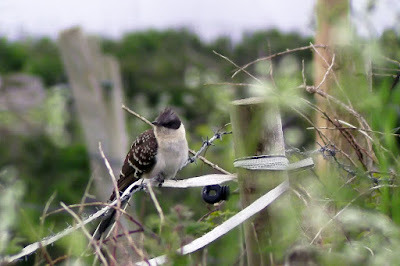 It was last seen back at its favourite hangout at Reaps Lane during the early afternoon. The Cuckoo was clearly being elusive, so I felt quite privileged to be just one of two birders who had seen it during the morning. I went down to the Bill itself for a brief seawatch, again it was quiet, with the usual Guillemot and Razorbill, plus a few Fulmar, and a Rock Pipit on the rocks basking in the sunshine. So that was it for the day. I had to start heading back home by 11.30am, but no matter. It had, without doubt, been a morning to remember. Thanks Anne, although my photos are not at the same level as yours!